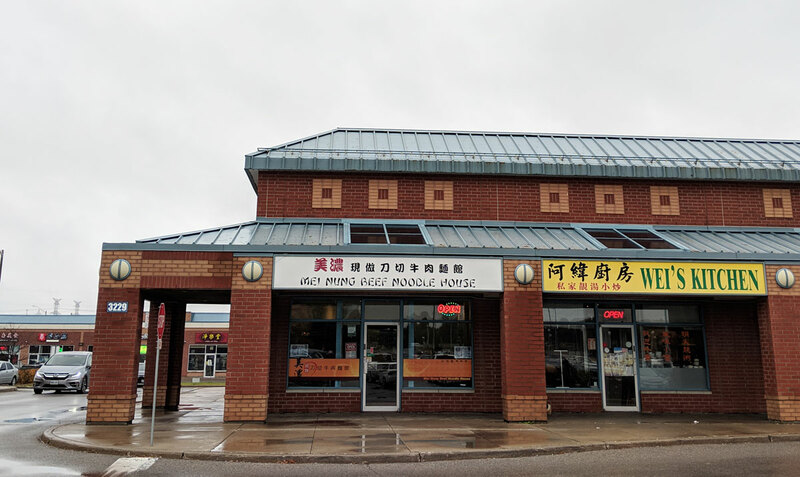 Though there are a ton of amazing restaurants in the First Markham plaza, you’re going to have a hard time topping Mei Nung Beef Noodle House, which specializes in Taiwanese beef noodle soup. 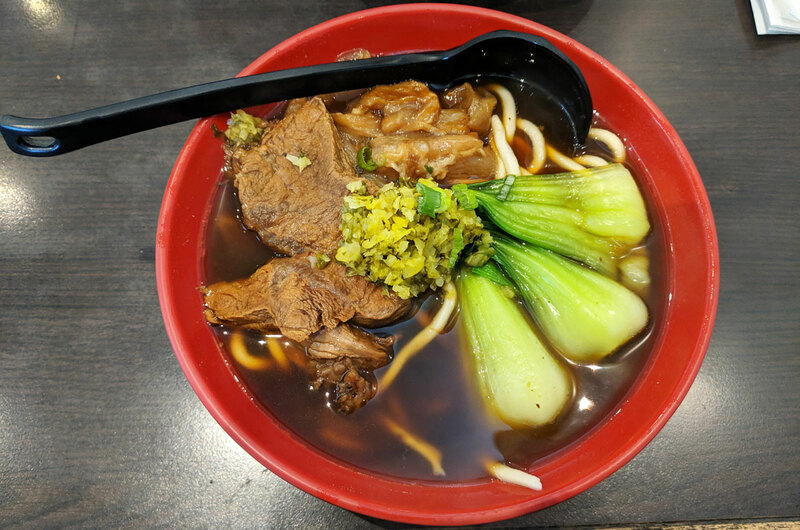 The beef and beef tendon noodle soup is where it’s at. 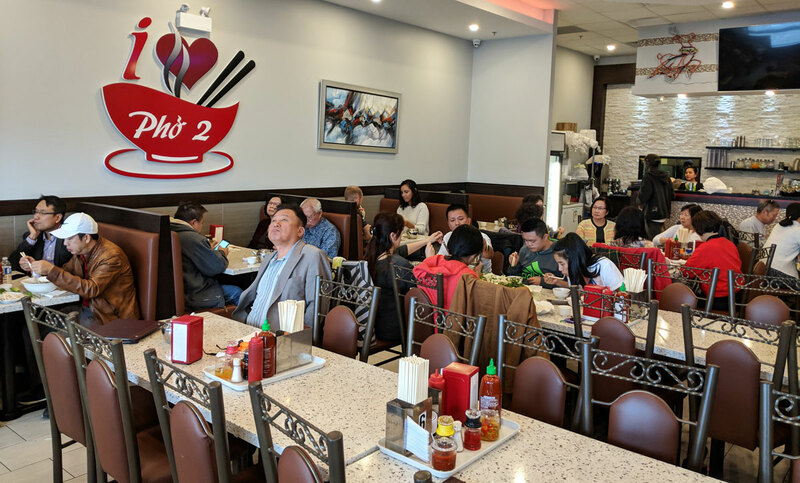 You can choose from rice noodles, glass noodles, or homemade noodles, and the choice is clear — you’ve gotta get the homemade noodles. They’re thick and hearty, with an amazingly satisfying level of chewiness. They’re so good. But then everything about this bowl is so good. 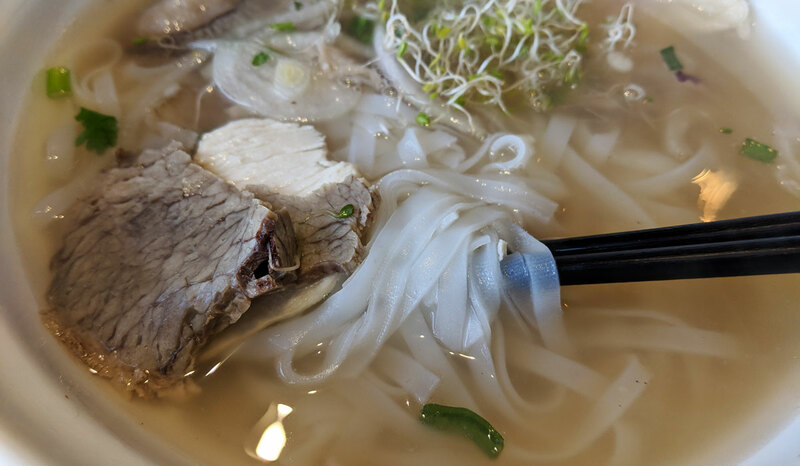 The broth is ridiculous: it’s beefy, zippy, and immensely flavourful. You think it can’t possibly get any better, and then you add a spoonful of their wonderfully smoky chili oil, and lo and behold — it gets better. The chunks of beef are super tasty and enormously tender, though the tendons are the real star of the show. They’re so perfectly cooked that they’re essentially like meat butter. They’re soft and unctuous and amazing. They’re also super tasty; they do an impressive job of absorbing all of the seasoning in the soup. They’re squishy, melt-in-your-mouth flavour bombs. 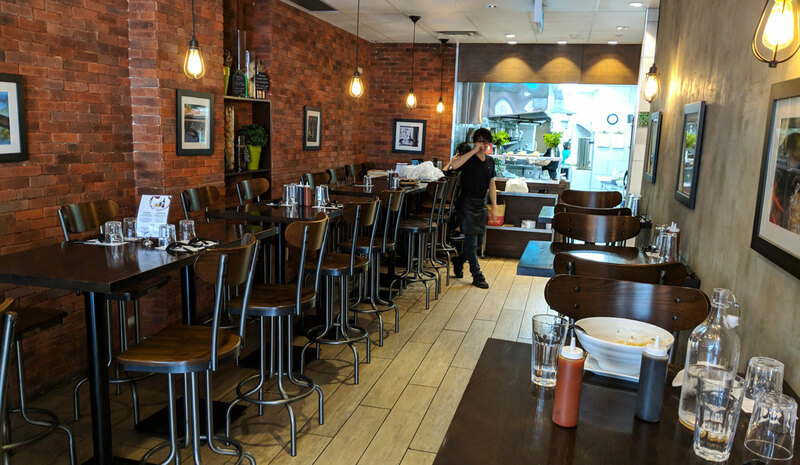 It all adds up to a bowl of noodle soup that’s easily one of the best in the GTA. 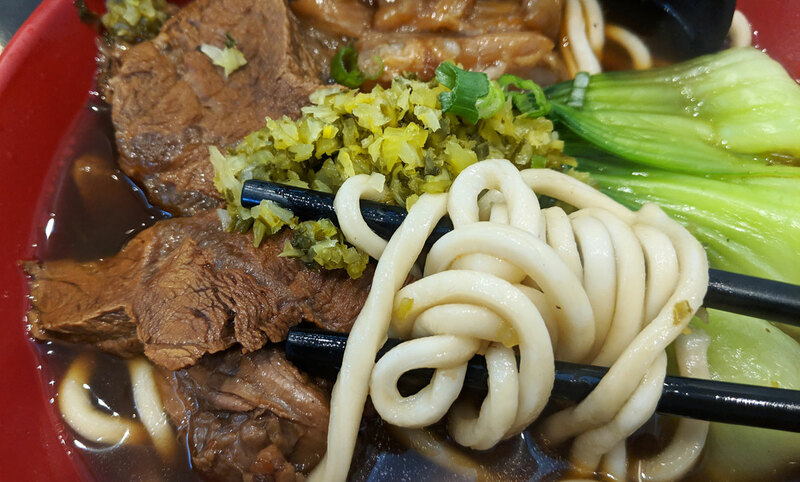 I challenge you to find a substantially better bowl of beef noodle soup — even with a plane ticket to Taiwan. 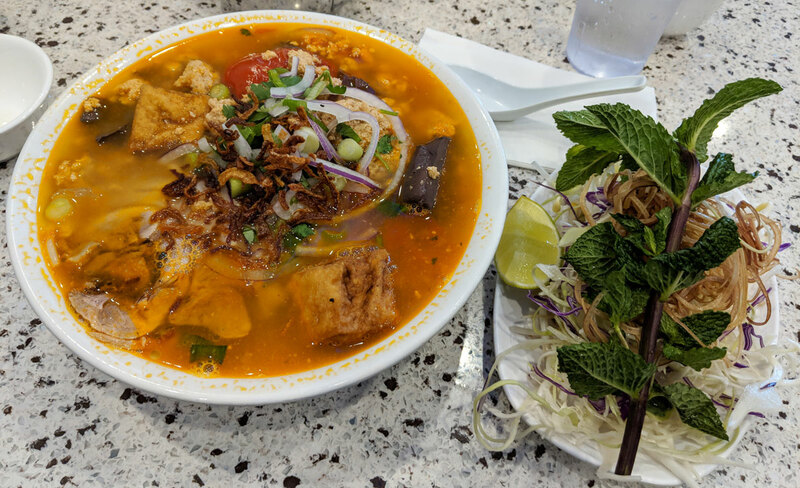 I’ve always liked Vietnamese food, but I feel like I’ve spent the majority of my life seriously underrating it. 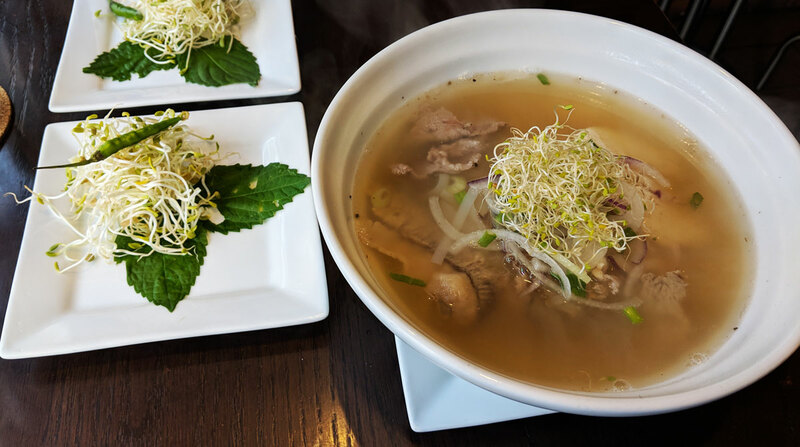 I’ve recently discovered that Vietnamese cuisine can be downright magical, with a vibrancy and depth of flavour that’s irresistible. 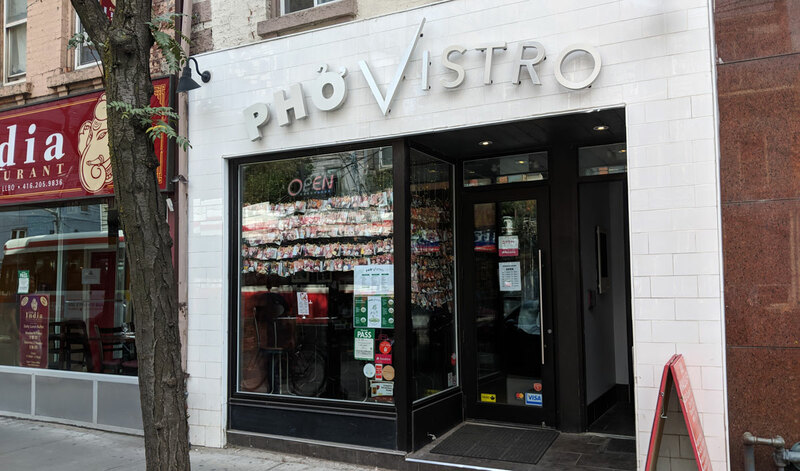 And there’s so much more to it than the obvious choices like pho and banh mi (not that there’s anything wrong with either of those dishes). Case in point: the bun rieu at I Love Pho 2, a zingy noodle soup made with a tomato- and crab-based broth that’s absolutely crammed with stuff: sliced beef, sliced pork, ground pork, tomato, blood cake, fried tofu, fried onions, fresh herbs, and a whole plate’s worth of crunchy veggies, not to mention the heaping portion of soft, chewy rice noodles. It’s amazingly good. 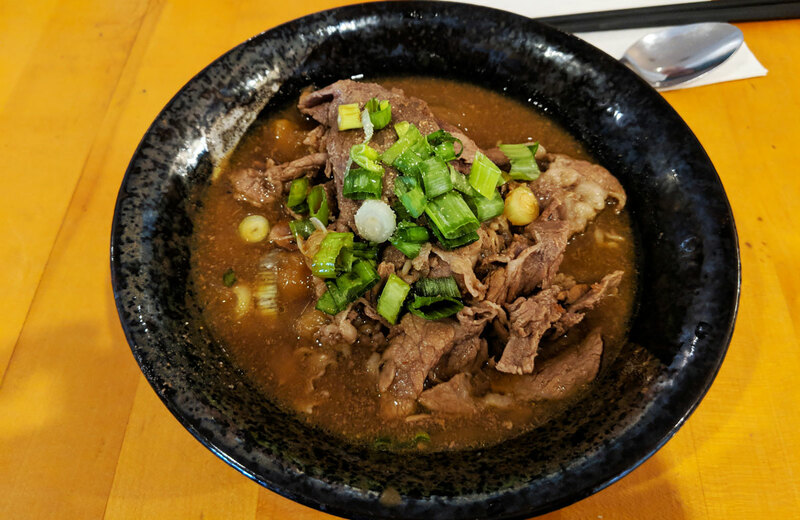 There’s a really delightful variety of flavours and textures — sometimes, the meat in a soup like this can taste off or be a little tough, but everything here was great. It’s the broth, however, that makes this dish so special. It has a really rich seafood/crab flavour, with a nice zinginess from the tomato and a mild sweetness that rounds things out. It was incredibly satisfying. 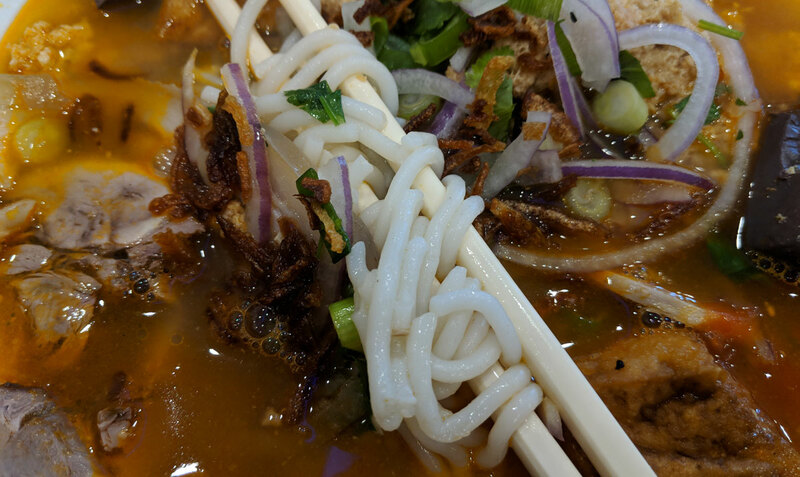 It was also an amazing value — I got the medium size, which cost about ten bucks and came with an almost comically oversized bowl that was filled to the brim and absolutely crammed with noodles and various meats. Does the world need yet another Manpuku post from me? Probably not! (This would be post number three, for those keeping count.) Am I going to do it anyway? 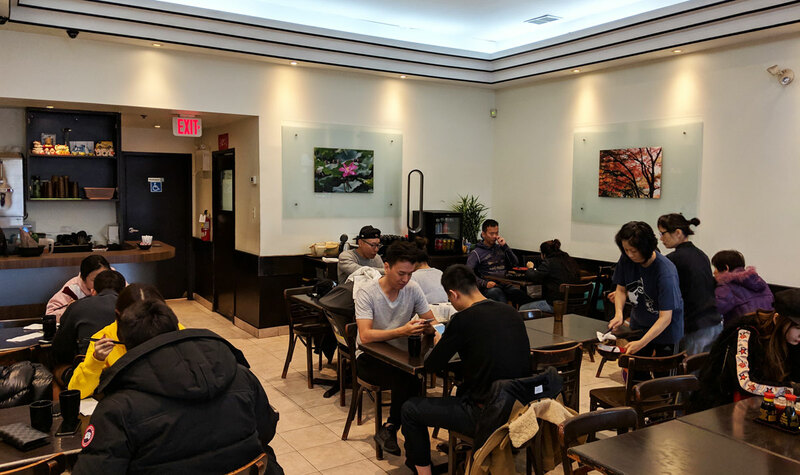 I feel like I have to keep telling everyone I can about this place, because it continually impresses me with its delightful combination of tasty eats and ultra-affordable prices. On this particular visit I tried the curry don, which features a heaping serving of rice topped with a generous amount of beef curry. As with everything else here, it’s quite good. The mild curry isn’t going to knock anyone’s socks off, but it’s rich, tasty, and abundantly satisfying. 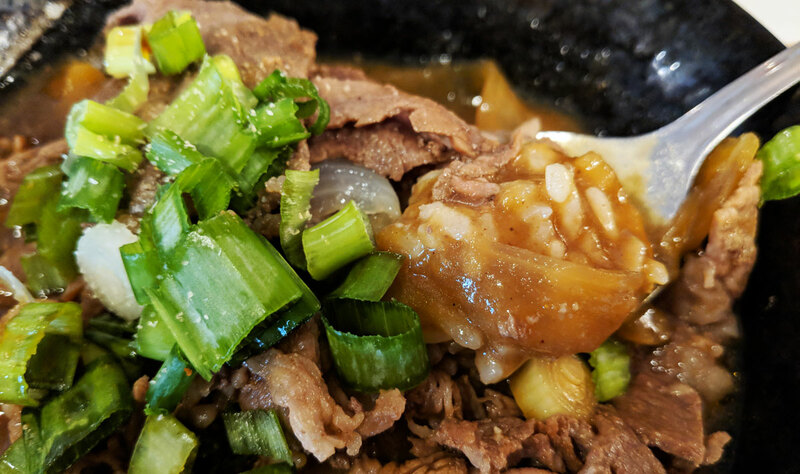 It comes with a whole bunch of tender, thinly-shaved beef and is, unsurprisingly, an amazing deal at $6.99 (which I guess is actually kind of expensive by Manpuku’s standards). 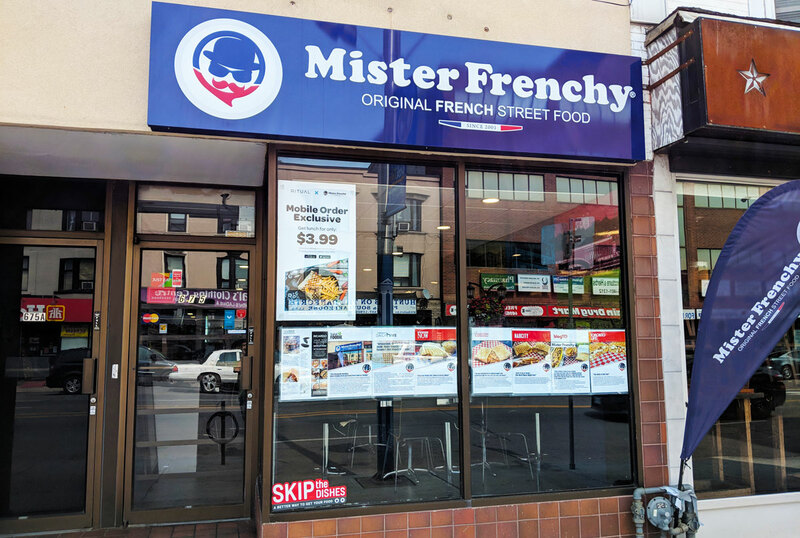 Mister Frenchy is an unassuming restaurant on the Danforth that specializes in something called French tacos. No, I had never heard of a French taco either. But it’s a real thing, apparently — it’s basically a meaty, pressed wrap that was popularized in the Lyon region of France. 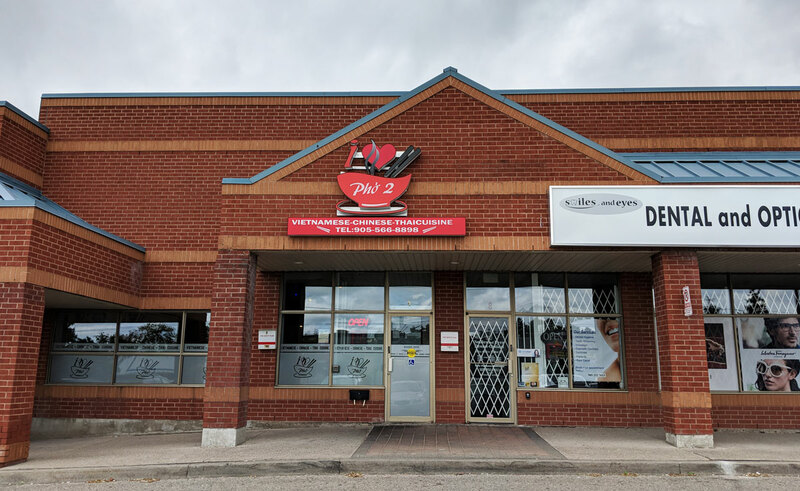 I think it’s safe to say that this is the only place in the city that you can try one, which is something that you should absolutely do. It’s shockingly amazing. It was so good. The wrap was perfectly pressed, giving you that perfect combo of crispy and chewy. And the filling was pure comfort food perfection: an amazing mix of nicely spiced beef, perfectly cooked veggies, zingy sauce, and abundantly gooey cheese. 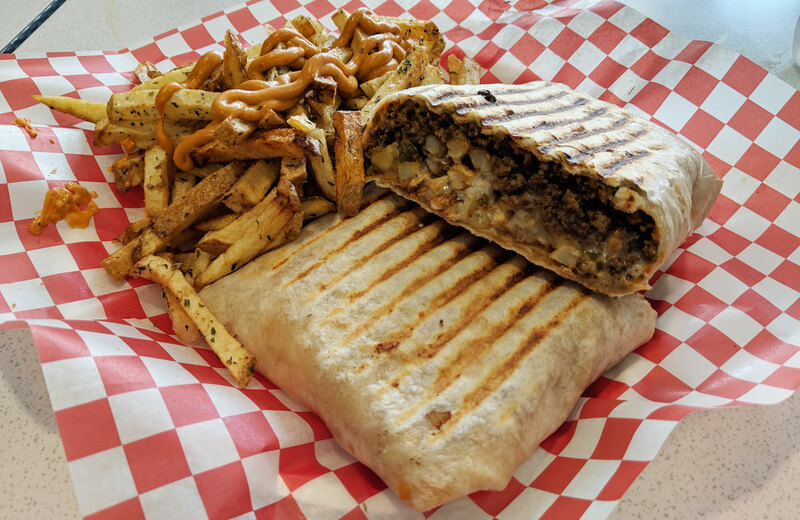 Oh, and there are fries in there as well — I’m normally not crazy about potatoes in a sandwich/wrap, but the fries here add substance without getting in the way or calling attention to themselves. The whole thing is ridiculously satisfying. Alas, the fries on the side didn’t work nearly as well as the fries in the wrap. They were undercooked, the herb mixture they were tossed in was overbearing, and the sauce on top was way too zesty to work as a dipping sauce. Which is fine — the wrap is a perfectly satisfying meal on its own. Plus, it’s way heavier than it looks. It’s a bit of a gut-buster.